Going for an i7 would cost 1.5 times more for 1.5 times the power. However, I need to set a limit based on my budget instead of maxing out with a 4 CPU (16 core) 16GB RAM 4 SATA SSD RAID setup! This all just passed the RM3K mark by a little bit. But hey, really, I am trying to learn how to mouse my way around, being a keyboard speed freak. I usually make my Windows XP look like Windows 98, so I decided to get with the times and see what Windows 7 had to offer. So I am loving the Pin to taskbar function. So in order from left to right, you can see that Firefox, WinAmp, Notepad, Photoshop CS4 and IE8 are open. You can also see that these are the programs I would most likely have, open, most of the time, and the icons remind me what I need to do on the computer anyway! Major, major productivity boost. A very cool thing about programs that are integrated with Windows 7 is, that its progress bars show on the icon – that green bar on the IE8 icon for example is showing me how far is my Firefox 3.6 Beta going. 😀 Seriously though, I love that feature on Explorer, being able to know how long file transfers take. I ran Quake 3 /timedemo 1 with four.dm_68 in Windows 7 32-bit and got 899.5 FPS! Then I tried it in Windows 7 64-bit and got a black screen. Had to blindly type /quit in the console. Then I downloaded ioQuake3 and got 274.4 FPS. I’m taking a leisurely drive through Need For Speed: Shift and man is it difficult! Drift is annoying as heck the way the new gameplay is. It is however amazing to see people in crowds waving flags, and the tarmac and tires getting bumpmaps! Meanwhile RawTherapee 2.4 RC2 is zipping through with all the maximum possible corrections I use at 25 seconds export (still not as amazing as the Sony W laptop supercomputer I’ve tried) but if I disabled NR and Shadow/Highlights (they just make tacky HDR anyway) it goes down to 15 seconds on 24 megapixel RAW files from the Sony Alpha 900. This entry was posted in Geek, Pictures on November 29, 2009 by 2konbla. hmmm! that SSD drive looks intriguing! i was looking for one when i had to rebuild my rig a couple weeks back but the ones they were selling were upwards of RM800 for the 64GB version! X( did you get yours at low yat, dude? dJ phuturecybersonique: Yes I did! KJ: Waiting for your turn! Matthew: Yes it is a quad core processor. Well spotted on the typo, it’s a 1 Terabyte HDD! Egad. I think you could use a little more RAM, especially seen as though you are using a 64bit OS you can fully harness more than 3.5GB now and it’s so cheap. It does help with RAW files as it tends to take quite a bit of RAM. Plus if you want have to Photoshop or whatever open and comfortably multi-task (and for me I tend to have about 25 firefox tabs open at minimum) so it helps a lot! 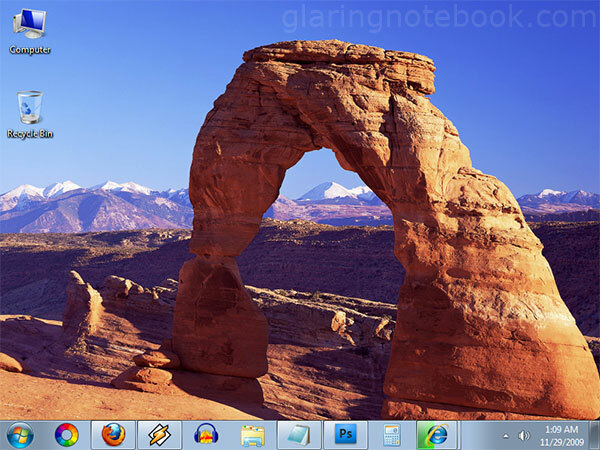 Although Windows 7 helps a lot as it’s MUCH more efficient. ShaolinTiger: Soon to come, though my SSD will make chunking smooth. I do watch my memory usage and even now I don’t hit 2GB yet! With my previous system RAW editing took under 1.5GB but the CPU was maxed out, so adding RAM would do nothing. Unless it was Dual Channel.